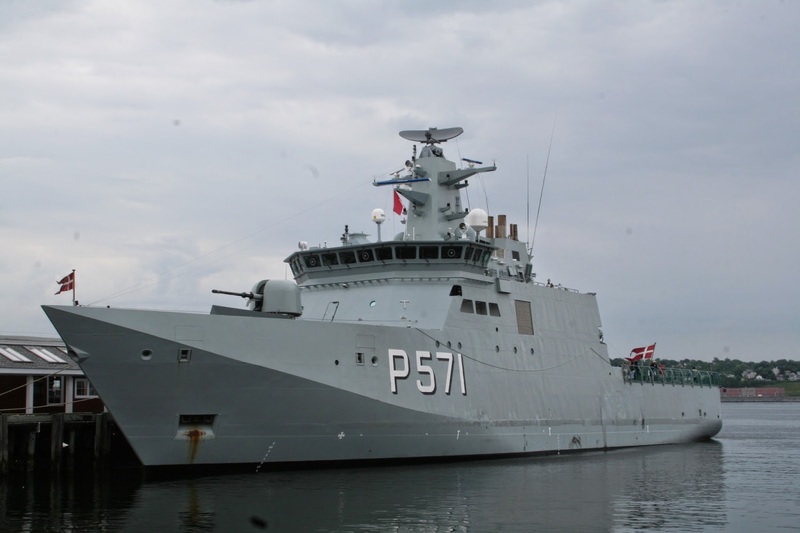 Ironically, on the same day that USS Little Rock arrived after issues with ice, HDMS Ejnar Mikkelson a Danish Arctic Patrol Vessel also put into the dockyard. Built in 2007, she is the second vessel of the Knud Rasmussen class, and normally works the waters around Greenland. Built to Polar Class 6, she is smaller and lighter then the Canadian AOPS, but has comparable speeds, and lacks a Hanger for helicopters. File Photo from her attendance at the 2010 Fleet Review. This entry was posted in visiting ship on April 3, 2018 by Peter.